Location: Near Northborough, Cambridgeshire in England. Notes: Northborough Manor House was originally a medieval fortified manor house, founded by de la Mare family. 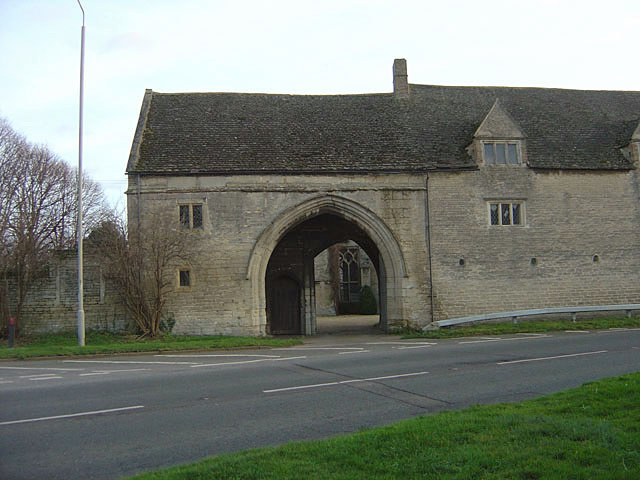 Possibly moated, only the stone hall and gatehouse of 1330-40 survive, with early 16th and early 17th century alterations.